Apple Stopped Signing iOS 8.4 Firmware, Now What? By now, I’m sure you know that the release of iOS 8.4.1 closed the door on the latest TaiG jailbreak in iOS 8.4. What this meant for us jailbreakers, is that we had to make sure our devices were upgraded, or downgraded to iOS 8.4 to keep our precious jailbreak. Apple has now stopped signing iOS 8.4, making it impossible to downgrade or upgrade, without losing your jailbreak. When you restore or update your device in iTunes, you will automatically get iOS 8.4.1, but now you do not have the option to manually select your iOS 8.4 firmware, as iTunes will not recognize it as a current firmware. Let’s go over what this means for jailbreakers now. For the time being, you MUST stay at iOS 8.4 if you want to keep your jailbreak. I would recommend being cautious when installing new tweaks from Cydia. Avoid any beta releases and only trust tweaks from the repos that you know are safe. This will help you avoid the need to restore your device, should something go wrong, and having you end up on iOS 8.4.1. So, how long until the next jailbreak? Well, the Pangu team have just teased an iOS 8.4.1 jailbreak, but it is unlikely that they will release it, with the iOS 9 release just around the corner. 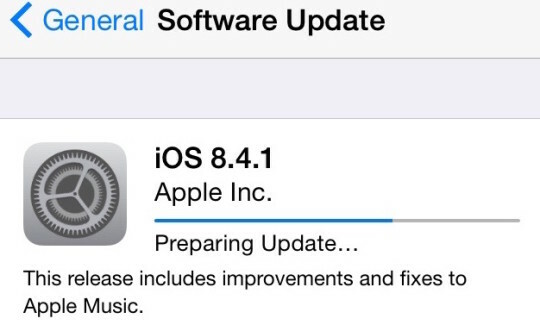 iOS 9 is expected to be released mid September. With the betas already out there, the jailbreak teams are probably already looking for holes and a way to bring us yet another jailbreak on the new firmware.